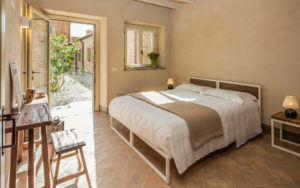 The room is located on the first floor, featuring northern and south-western exposure, bright all day long. 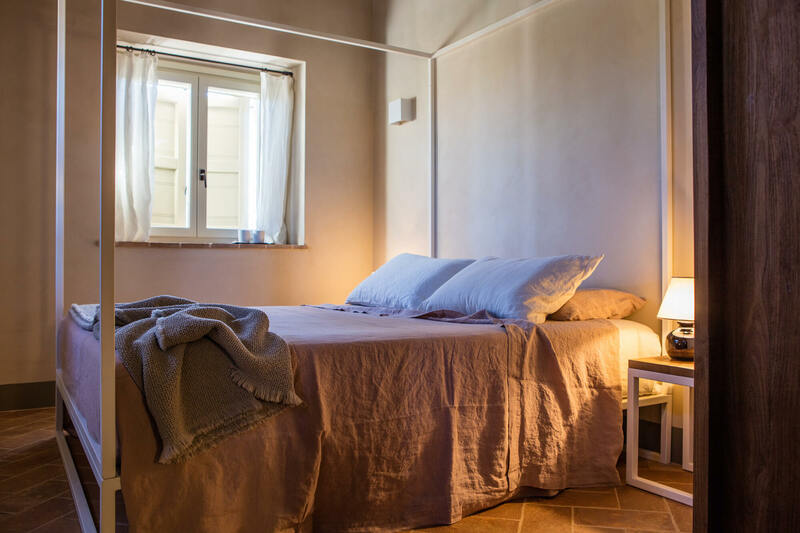 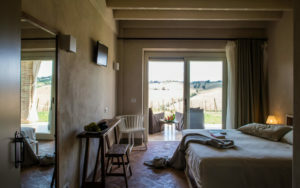 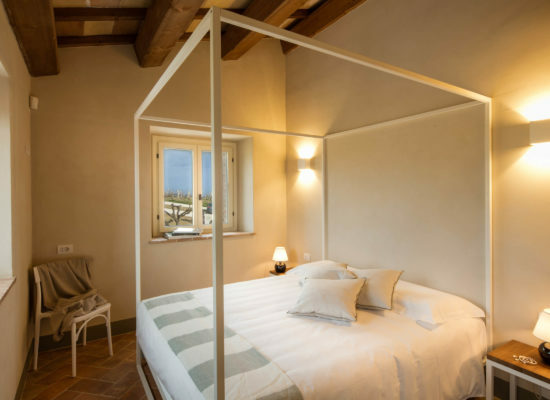 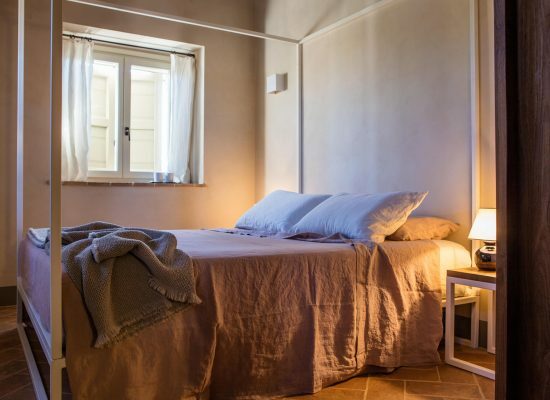 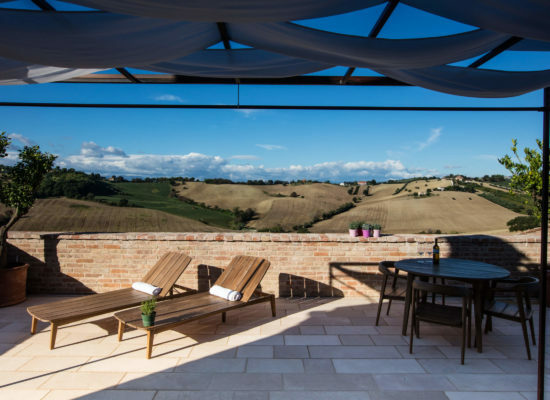 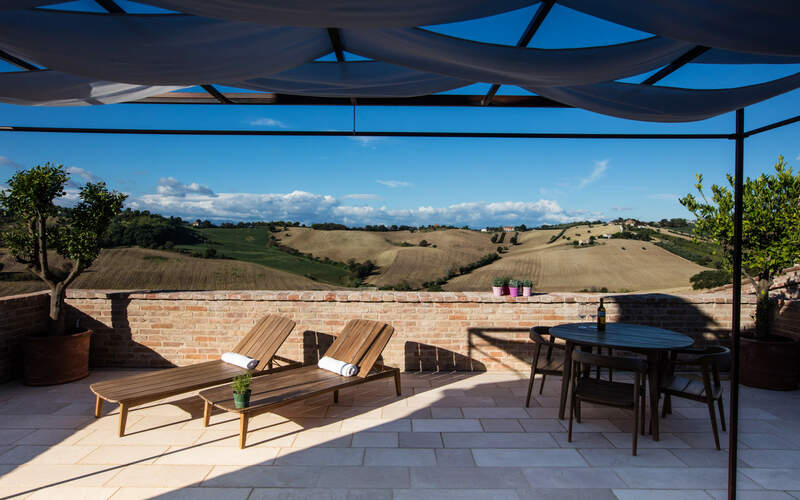 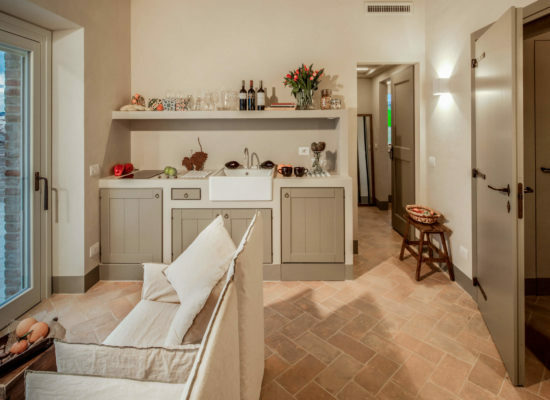 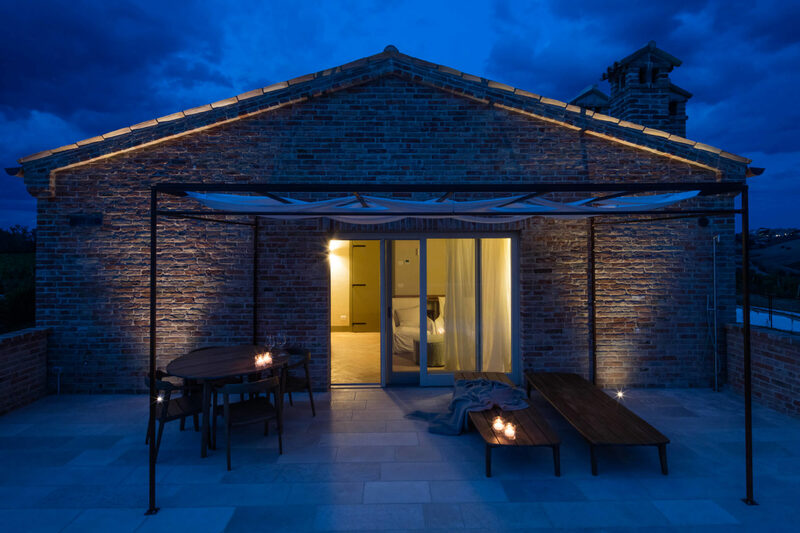 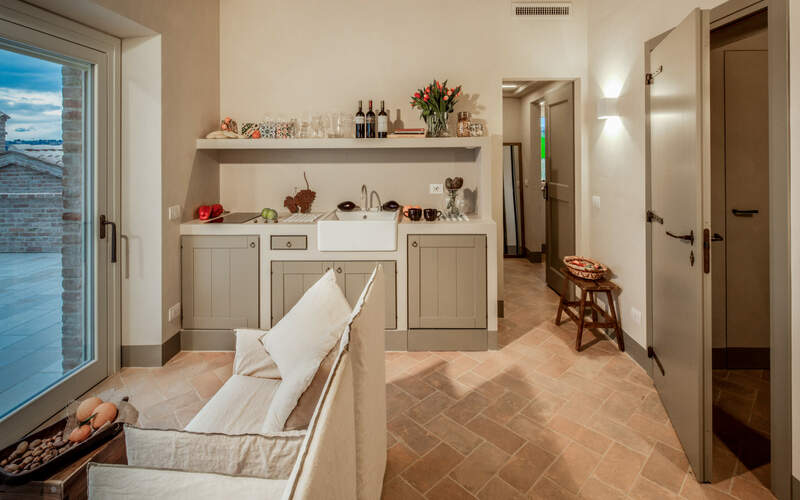 The suite consists of a double room facing the courtyard, with a canopy bed and exposed beams, a living room for relaxing and reading, a custom kitchen and a private terrace where enjoy the hills and a fascinating sunset on the vineyard. 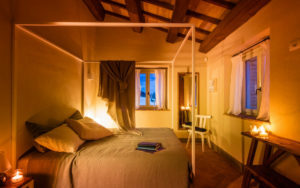 It is possible to book the entire first floor, including the Luxury Suite and Comfort Room.